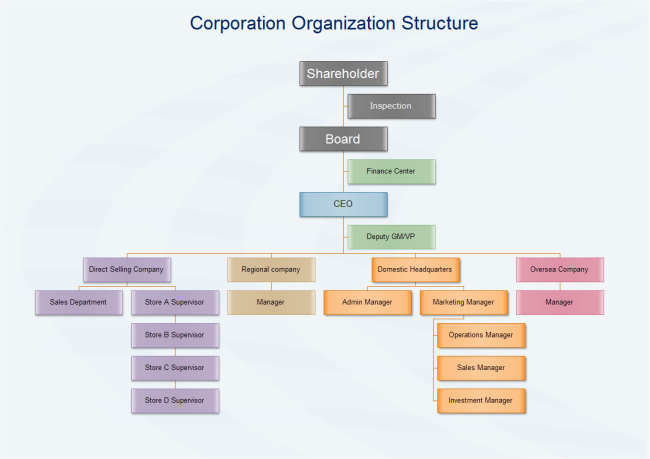 Description: A free customizable corporation organization structure template is provided to download and print. Quickly get a head-start when creating your own corporation organization structure. Using this chart template can help HR professionals visualize their current workforce, create scenarios to prepare for change, and to communicate organizational information across the corporation.